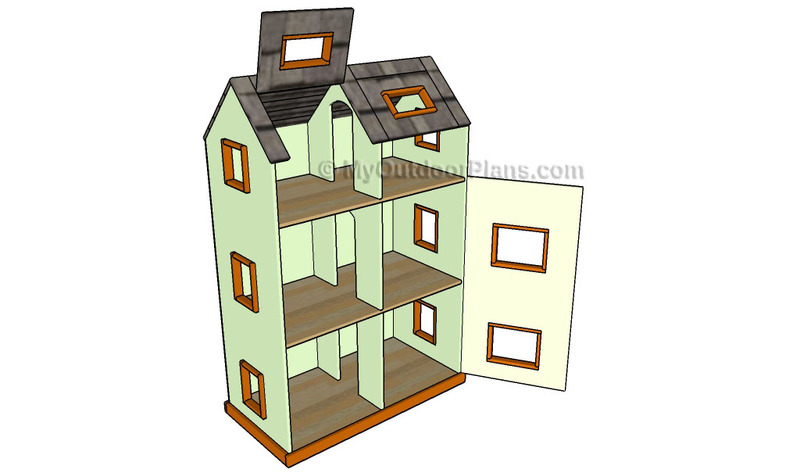 This step by step diy woodworking project is about doll house plans. 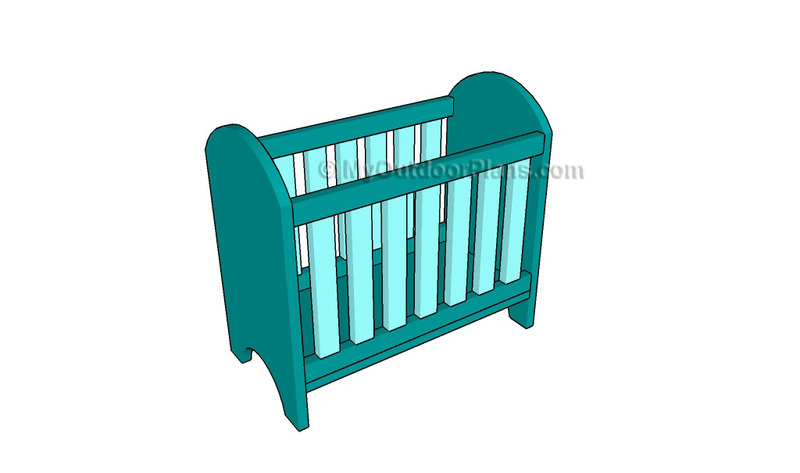 If you want to learn more about building a nice and simple doll bed, we strongly suggest you to pay attention to the instructions and diagrams that are featured in this article. Work with good judgement and invest in high-quality materials, such as pine, cedar or redwood, as they have both a nice finish and are durable. Top Tip: Don’t forget to take a look over the rest of the kids projects, as there are so many other plans to choose from. 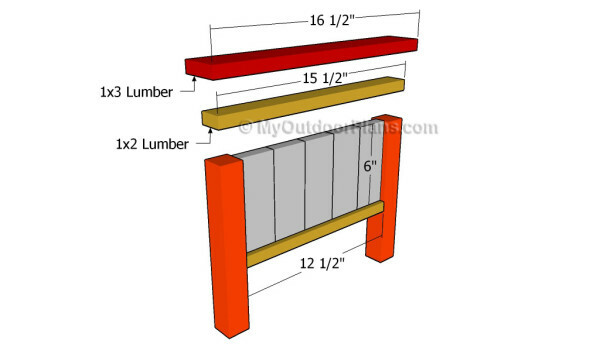 Build the legs from 2×2 lumber, the horizontal supports from 1×2 lumber and the panel boards from 1×3 lumber. Drill pocket holes at both ends of the 12 1/2″ slat and insert 1 1/4″ screws into the legs. 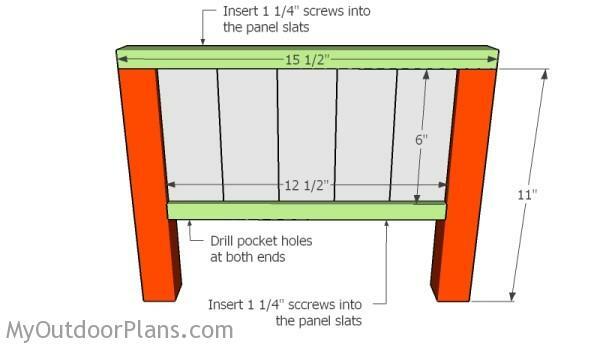 Drill pilot holes and insert 1 1/4″ screws into the panel slats. 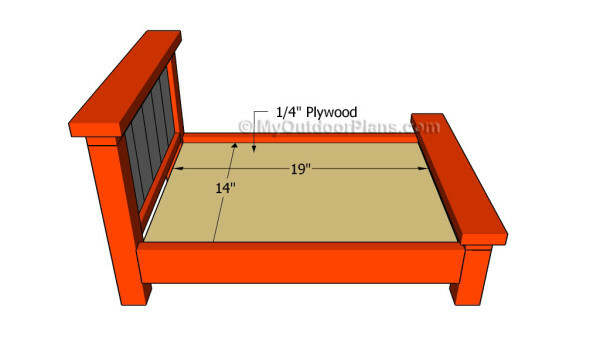 The first step of the project is to build the headboard for the doll bed. 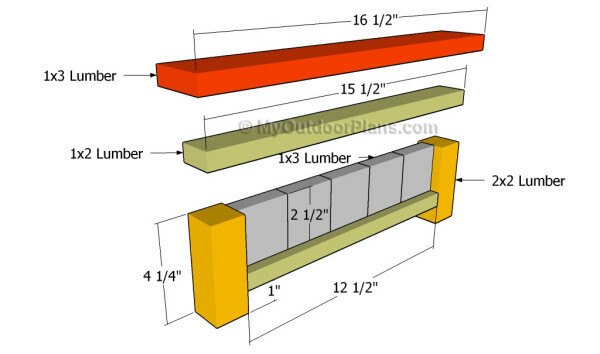 As you can easily notice in the plans, we recommend you to use 1×2, 1×3 and 2×2 lumber, making sure you cut the components at the right size. Smooth the cut edges with sandpaper and remove the residues before locking them together. Drill pocket holes before locking the components together with screws. 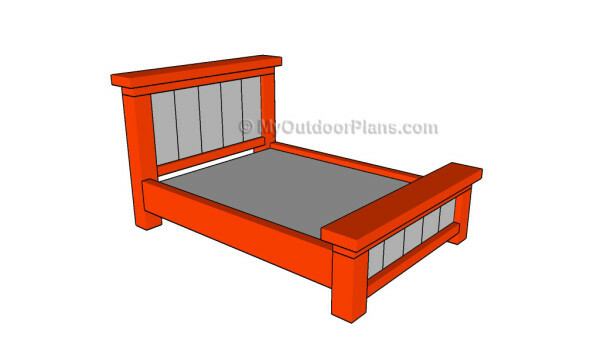 Building the footboard is the next step of the woodworking project, so make sure you plan everything with attention and good judgement. Take accurate measurements and adjust the size of the components before locking them together with glue. Top Tip: Make sure the corners are right-angled before locking the components into place. Center the panel slats to the posts before inserting the screws and adding glue. 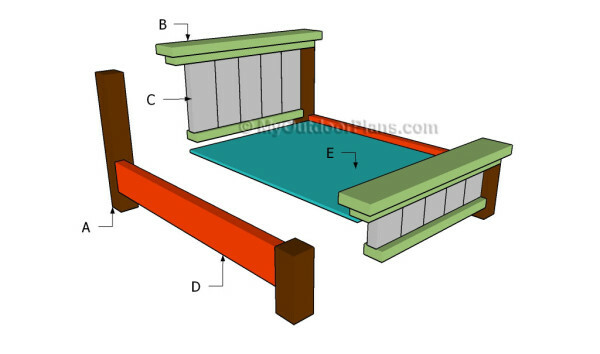 Continue the woodworking project by attaching the side slats that lock together the headboard and the footboard. Drill pocket holes at both ends of the 1×3 slats and align them at both ends before inserting the 1 1/4″ screws. Work with attention, making sure you smooth the cut edges of the slats before locking them into place. 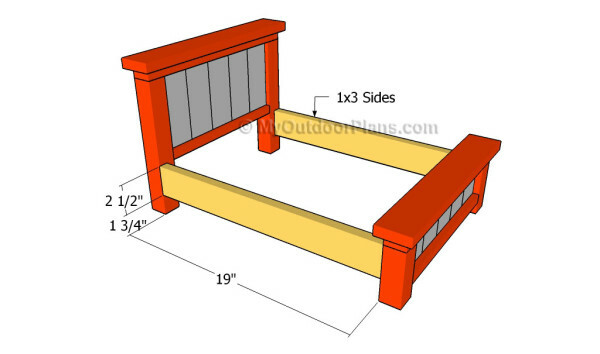 Repeat the process on the opposite side of the bed frame. 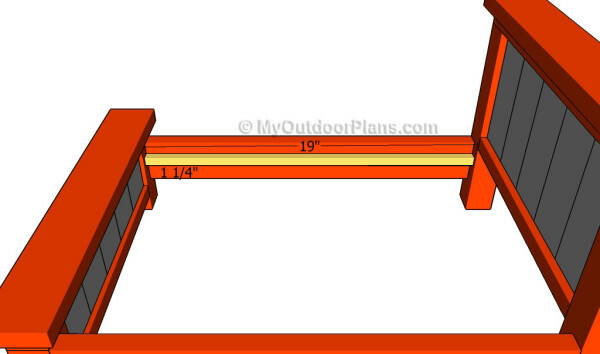 Attach 1×1 cleats to the interior faces of the side slats, as shown in the image. Drill pilot holes before inserting the 1 1/4″ into place. Level the side cleats with a spirit level before locking them into place. Cut a small piece of 1/4″ plywood and fit it to the cleats, as shown in the plans. Work with attention and invest in high quality materials, if you want to get a professional result. Secure the piece of plywood into place with waterproof glue. Top Tip: If you want to enhance the look of the woodworking project, we recommend you to cover the components with carpet. 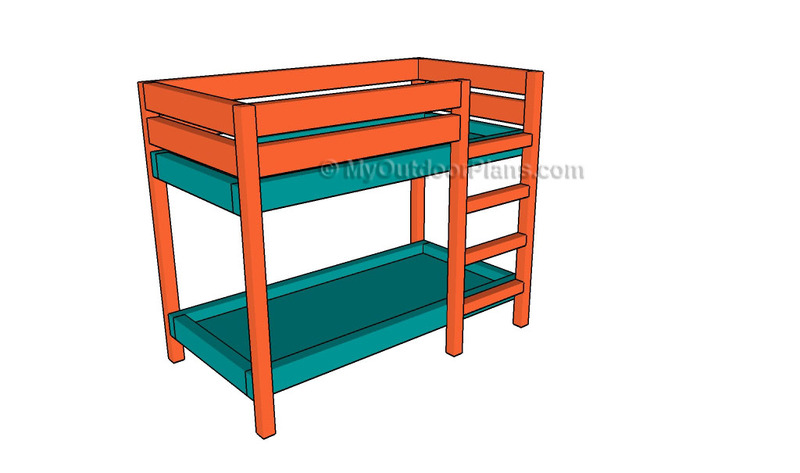 Place the doll bed in a proper location and move it whenever necessary. This woodworking project was about doll house plans. If you want to see more outdoor plans, we recommend you to check out the rest of our step by step projects. LIKE us on Facebook and Google + to be the first that gets out latest projects.